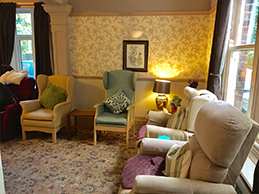 Alder Grange is registered with CQC (Care Quality Commission) and we provide care to older people with varying care needs/dependency levels including dementia, physical impairment and sensory impairment. We accept both privately and social funded service users, and have close links with both Stoke on Trent and Staffordshire social services. 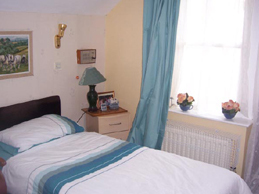 We accept both long and short stay residents and also offer respite care. Weekly fees are dependent on factors such as dependency and can be outlined by our care manager. All potential service users are fully assessed by either a company director and/or our care manager prior to being welcomed to Alder Grange. 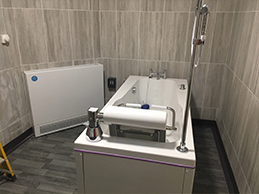 The initial 6 weeks of any service users stay is regarded as a trial period, to enable adjustment to the changes associated with a care environment. All our staff are there to aid this transition, for both service users and family/carers. Eungella Care Ltd have developed effective professional relationships with local G.P.´s and other health care professionals and you can be assured that additional help, advice and/or support will be promptly accessed by our team should any service user require this. Service Users preferences are communicated through regular open meetings with the staff and directors of Eungella Care Ltd, and these are held in addition to a regular 4 weekly ‘open evening’ in which service users, staff, relatives or any other individuals who use our service are encouraged to openly communicate with us to aid us in the delivery of effective care. Alder Grange provides a structured activities programme, tailored to the wishes of individuals accessing our services. As well as our in house activities (for example monthly pub afternoons, cake decorating, reminiscence and pamper days) Alder Grange actively promotes wider interaction with the local community and examples of outings include Trentham Gardens; Cosford Air Show, fireworks display with meal, lunches out and shopping trips.